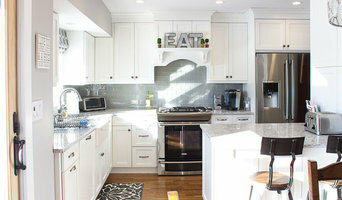 Award-winning Long Island Family owned Kitchen Design Firm. We have two beautiful kitchen showrooms, showcasing Crystal Cabinets, Medallion Cabinets, DesignCraft Cabinets, Plain and Fancy Cabinets, UltraCraft Cabinets, Wolf Cabinets and more. We carry stock, semi-custom and custom cabinetry. Offerings include frameless, inset and framed construction options. Our two 10,000 sq ft showrooms are open to the public and trade M-F 9-5 Sat 10-3. Visit us at <a rel="nofollow" target="_blank" href="https://www.LakevilleIndustries.com">https://www.LakevilleIndustries.com</a> for more information and kitchen showroom locations! Specializing in Kitchen Design, Kitchen Layouts, Custom Cabinets, Bath Design. Our team of kitchen designers has over 150+ combined years of experience. Since 1935 we have provided the New York Metro area with high quality cabinetry and the highest levels of customer service. 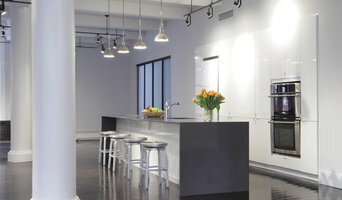 Marlene Ritland, CKD is an authority on the design, planning and execution of residential kitchens. Three times Best of Houzz Winner, 2014-2016! We're a full-service kitchen, bath and architectural hardware design service and showroom that specializes in kitchen and bath design and renovation. Our showroom offers the luxury of having every aspect of your project in one convenient location--no need to run from store to store wasting valuable time and money. Our full-time design staff can help you fulfill all your design dreams, no matter what the budget. A Charmed Life at Home in Seaford, New York has transformed the process of furniture shopping into a personalized design experience. Our showroom features 3,000 square feet of pieces for all areas of the home- furniture, lighting pieces, home decor, bathroom vanities, kitchen cabinetry and more. After opening in December of 2012, A Charmed Life at Home has focused on outstanding customer service and creating an enjoyable shopping experience. Whether you are looking for an accent piece or to design your entire home, A Charmed Life at Home offers thousands of pieces. In addition to our showroom, we offer access to pieces from all of our carried companies. A Charmed Life at Home offers a variety of design services including free in home consultations, room planning and layouts as well as kitchen design. No matter the project, our designer will work with you to ensure that your project is completed to your exact standards. Now, A Charmed Life at Home has brought our unique pieces to our online viewers with the opening of our online store. We welcome you to browse our website, and if you are in the neighborhood, stop by and see what our showroom has to offer! Achieving flawlessly functional and attractive kitchen and bath design in West Babylon, NY requires a professional who specializes in these spaces. Not only do these rooms see the most action of the house, but they require the most planning and attention to detail. When designing them, a bath and kitchen designer must keep a strong focus on the homeowner's wants and needs while also considering things like potential resale value. 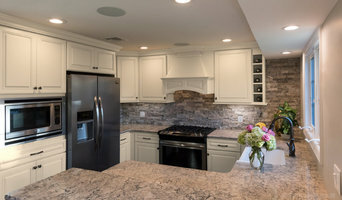 Read the tips below to learn how to choose the perfect West Babylon kitchen and bathroom design professional for your home project. What does a West Babylon kitchen designer or bathroom designer do? A kitchen and bath design professional in West Babylon, NY knows to take all of these crucial points into consideration and can help plan the layout, materials and overall look and feel of either of these rooms in your home. Kitchen designers, as well as bathroom designers, are constantly staying on top of trends in the ever-changing industry. The designer also knows the best layout for your room, and can configure the layout for optimal functionality and utilization of the space. In the kitchen the refrigerator, stove and sink should be laid out in relation to one another, and it should be seamless and easy to move from one to the other. A West Babylon kitchen and bath designer will know how to work with a contractor and architect to plan the flow of the room to work best for your needs. Here are some related professionals and vendors to complement the work of kitchen & bath designers: Kitchen & Bath Fixtures, Appliances, Tile, Stone & Countertops, Cabinets & Cabinetry, Woodworkers & Carpenters. Before you talk to bath and kitchen designers in West Babylon, NY, consider how you will use the room. For your bathroom, is it necessary to have a bathtub for bathing kids or pets, or would a shower suffice? Perhaps all you need is a half bath for downstairs or a smaller guest bath for occasional use. Similarly, for kitchen renovations consider your cooking habits. Do you eat out every night but need a space to entertain in? If so, a smaller kitchen might be fine for you, with a space devoted to wine storage or a bar, whereas others might prefer a bigger stove or extra cabinets. When interviewing West Babylon kitchen and bath designers, make sure to share these habits so they can best fit the room to suit your needs. Find a West Babylon kitchen designer or bathroom designer on Houzz. Narrow your search in the Professionals section of the website to West Babylon, NY kitchen and bath designers. You can also look through photos in West Babylon, NY to find a kitchen or bathroom you like, then contact the professional who designed it.